Black and white photograph of Italian Canadian men standing outside a home in Hamilton, ON. 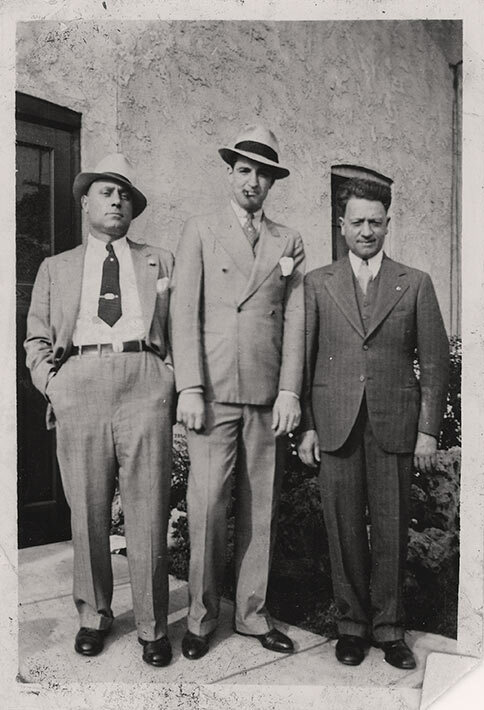 From left to right the men are identified as Girolamo (George) Capponi, Ralph Di Filippo and Donato Olivieri. During World War II George Capponi and Donato Olivieri were both interned, while Ralph Di Filippo was declared an enemy alien, fingerprinted and required to report to the local authorities.